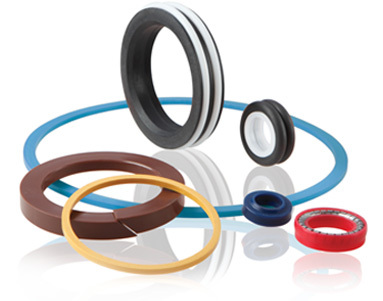 All Seals works with a tremendous variety of plastics and can also provide expert recommendations for your most challenging applications. The table below describes our most commonly used machined plastics. The information presented here is necessarily general in nature and abbreviated in scope. For more specific information or expert advice, please contact us and speak directly to an experienced materials specialist. We warehouse black 75 durometer. We warehouse 55 durometer Shore D.
We warehouse contoured 90 durometer. virgin PTFE split backup rings.